(Issue 83) We don't send spam. We won't give out your email address. We love vegetarians, mainly because they're all so ludicrously patient with the amount of meat we slather all over this food-fixated e-mag. 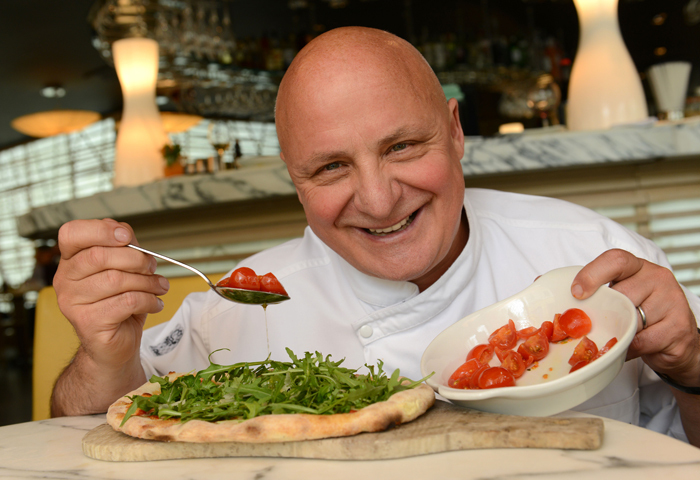 As a thank you to their unwavering support, we collared celebrity chef and consultant at Brum's glorious Fumo restaurant, Aldo Zilli, to find out his top veggie cooking tips. It's National Vegetarian Week too, so maybe we should all skip steak for a while? Even YOU. "The Italian region of Puglia has the oldest olive trees in the world and they produce the very best oil. That's tough for me to admit, because I'm from Abruzzo and we make great olive oil too. But Puglia has the edge. If you can't get your oil from Puglia get it from the south of Italy. 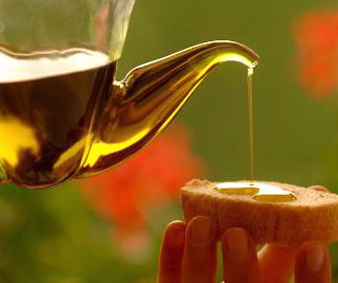 Tuscan olive oil is also brilliant but you pay more." "A good pestle and mortar is really vital. 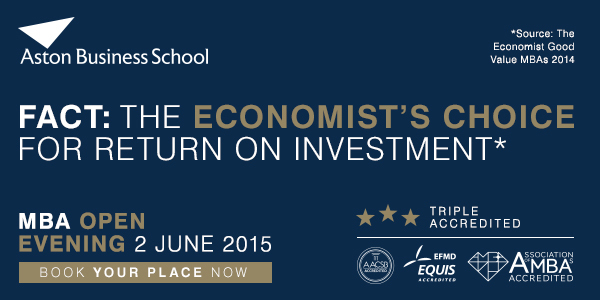 If you're going to push the boat out, price-wise, do it here. 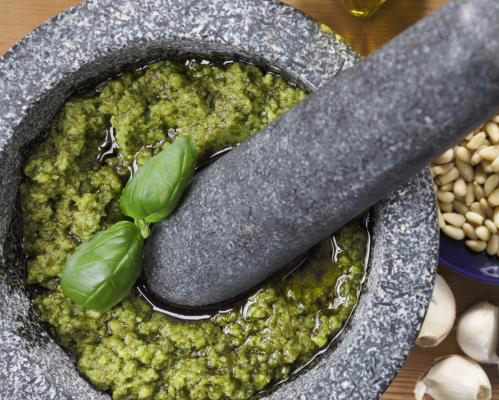 I make all my pesto in a pestle and mortar, it gets nowhere near the blender. It's chunky and perfect, crushed in a big, strong marble or stone mortar. Remember, don't wash it with soapy water. Clean it with olive oil." 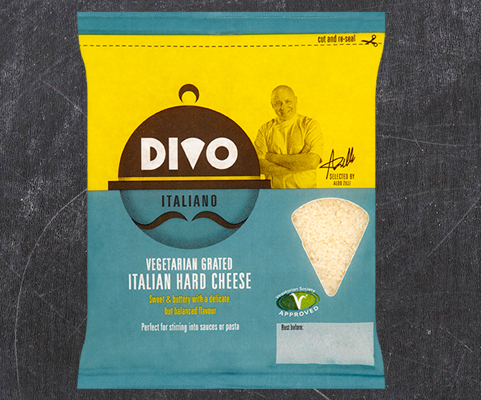 "Forgive me for plugging my own product but every vegetarian kitchen needs Divo - the first Italian grated, vegetarian, hard cheese. You can't tell the difference between that and parmesan. It's made with vegetable rennet rather than the animal rennet you find in parmesan. We're very pleased with it." 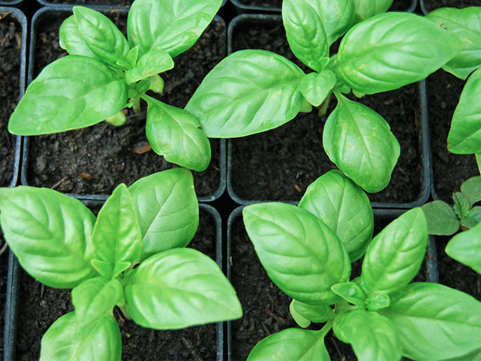 "You can buy beautiful Italian seeds for herbs and vegetables, or bulbs at Franchi - it's a great site. Also have a look at Delicatezza which sells Italian ingredients that you won't find anywhere else, including brilliant wines. They do very good Montepulciano and Barolo. It's authentic and cheaper than buying from the UK." "If you have any outdoor space to speak of you can grow your own rosemary and basil. Both are vital to Italian cooking - rosemary requires minimum care and attention, but basil might need a little love. Also grow sage, that's easy enough too. These herbs will lift your Italian food." 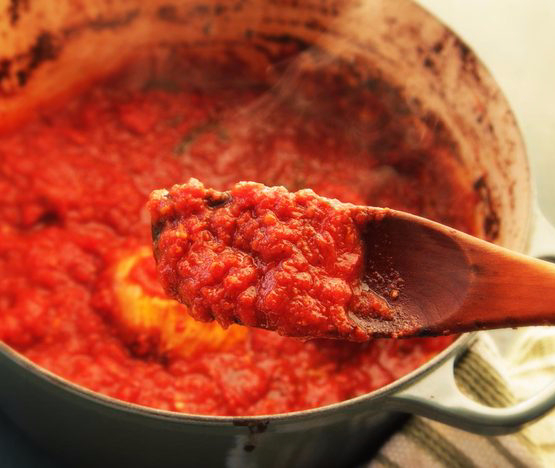 "Tomato sauce is all down to timing. My mum used to get up at stupid o'clock to make her sauce. She'd put it on, then completely forget about it for four hours. I've never been able to recreate that flavour. All she used was fresh tomatoes, garlic and basil. I use red peppers, though. They add so much flavour. I swear by them." 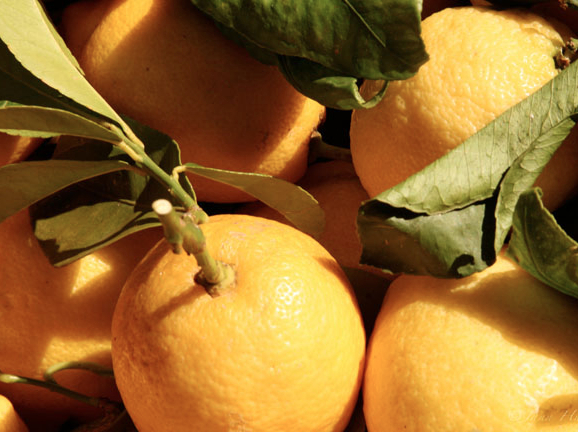 "Lemons are absolutely crucial to Italian cooking and pick of the bunch are Sicilian lemons. 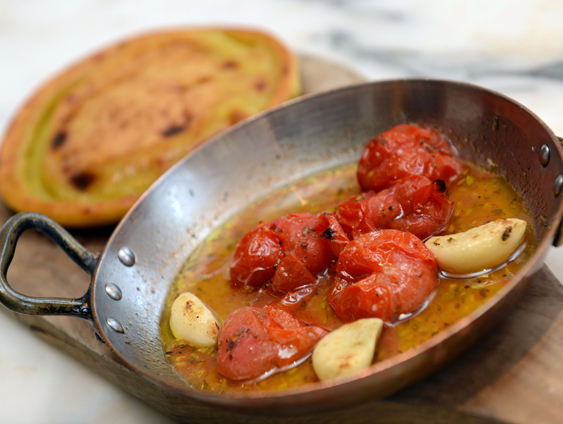 We use them here, at Fumo. Sicilian lemons are so good you can eat the skin. It's really good for you. It's a beautiful fruit - try the Sicilian lemon and it will change the way you think about citrus." Aldo has provided us with three vegetarian recipes, two of which are currently on the Fumo specials board (the easier to make farinata with tomato sauce - pictured - or a tricker ravioli stuffed with pecorino and truffle cream sauce) and a DIY caramelised red onion, thin crust pizza. GERMAN MARKET IN MAY, ANYONE? You've probably got one eye on a weekend jug of Pimms in a beer garden somewhere, so it's perhaps a little cruel of us to remind you of the relentless cold and crushing reality of the British winter. We're going to do it anyway. 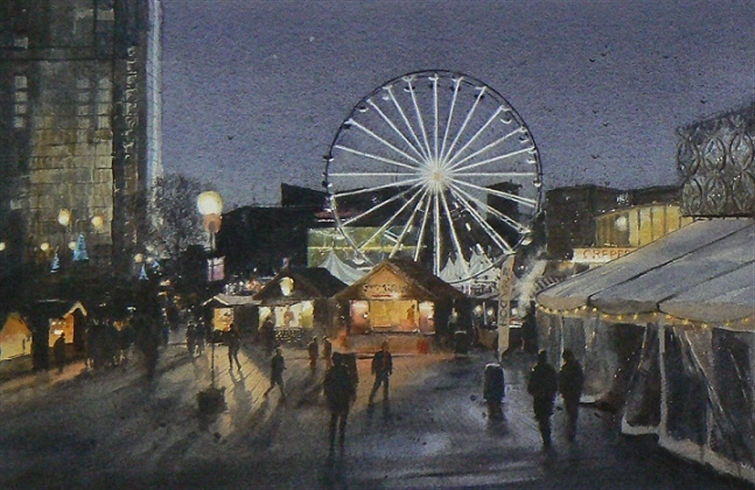 This stunning watercolour (£750), on show at the RBSA right now, is by West Midlander Jonathan Taylor and depicts, obviously, the German Market in Centenary Square. It's part of the gallery's annual 'Prize' exhibition, which showcases a range of artists from across the UK and awards those selected by smart arty types with various cash prizes. It didn't win, which makes us angry enough to riot, but it's totally worth visiting to see it and to check out those that did. Entry is free (make a donation, for crying out loud) and the show ends June 13. More info. In an unprecedented play prompted by National Vegetarian Week, we've handed over the You Choose reigns to a man who’s eaten his way through - well - just about all of the Midlands’ veggie scene. 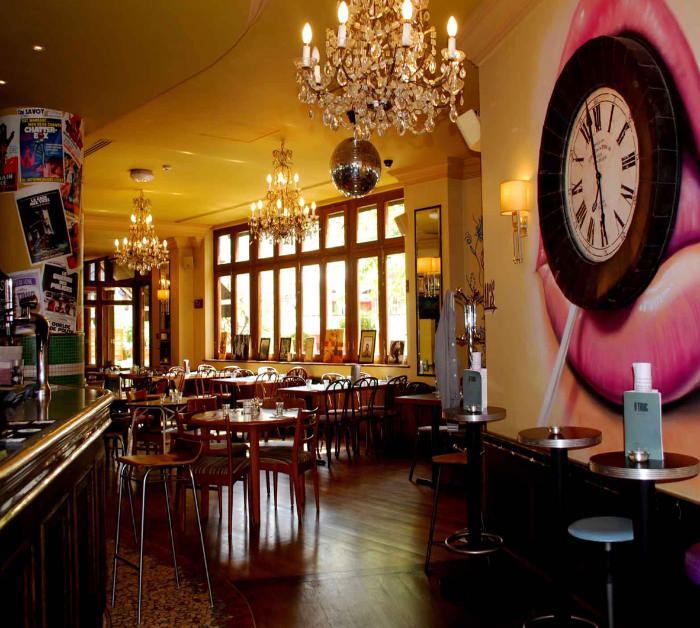 Tasked with telling of Birmingham’s very finest vegetarian dish, here’s what Andy Hare of Veggie Foodie had to say: “Humour, seasonality and an inventive ambition belies the ethos at Bistro 1847. 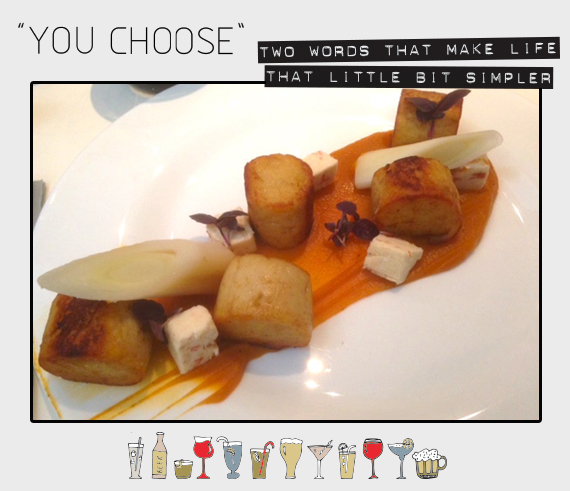 Never has this been more true than in the case of the team’s squash velouté, gnocchi and burnt leek with feta terrine. Poached not boiled, ballotined and rolled, the texture of the gnocchi has a lightness akin to soufflé, with a soothing velvety full flavour. Throw in an adeptly charred leek with a super soft feta terrine and you have a beautifully balanced and stunning plate of food.” The dish is featured as part of the latest edition of the regularly changing menu, so probably best not hang around on this one. What could be better than one of Le Truc's smile-making Bloody Marys? That would be unlimited access to the team's supercharged Sunday refresher (made with Grey Goose and Pip's Hot Sauce no less), and breakfast, for but twenty of your English pounds. Launching at 10am on Sunday (May 24), Bottomless Brunch is being overseen by the French brasserie's new cocktail demagogue, Robert Wood (formerly of the Edgbaston), and also includes Mimosas as part of its brand spanking new deal. With a kitchen fronted by Clemente Zamora (previously of Purnell's Bistro) expect a menu that celebrates traditional brunch time classics whilst injecting a serious wallop of French influence. 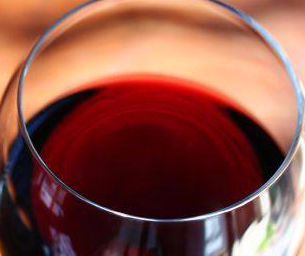 Add £15 to enjoy with Le Truc's sizeable Sunday roast selection (available from 12pm). 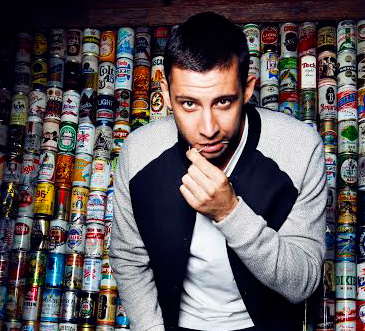 We have no idea why Example is standing in front of a wall of beer cans, but what we do know is that along with Heather Small, he's headlining Birmingham Pride, the biggest two-day LGBT festival in the UK. Whether or not you willl be buying a ticket (from £17), you'll be involved by default if you’re planning to be anywhere near the city centre this Saturday (May 23). From midday the Carnival Parade will be careering its way from Victoria Square to the Hippodrome, with drums, neon and more flesh than is customary for the time of day. 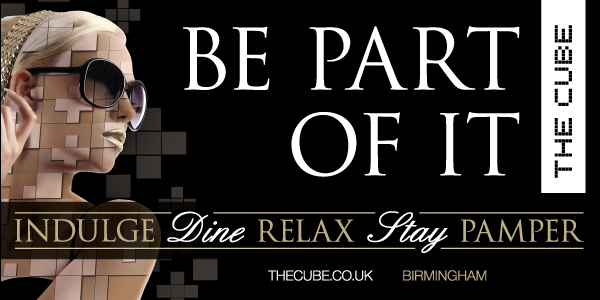 Across more than 20 venues, the sounds and sights will continue in the form of anything from cabaret to the Pride Proms, with food supplied by way of Brum Yum Yum's official Steetfood Speakeasy launch. Check out the full festival line-up.